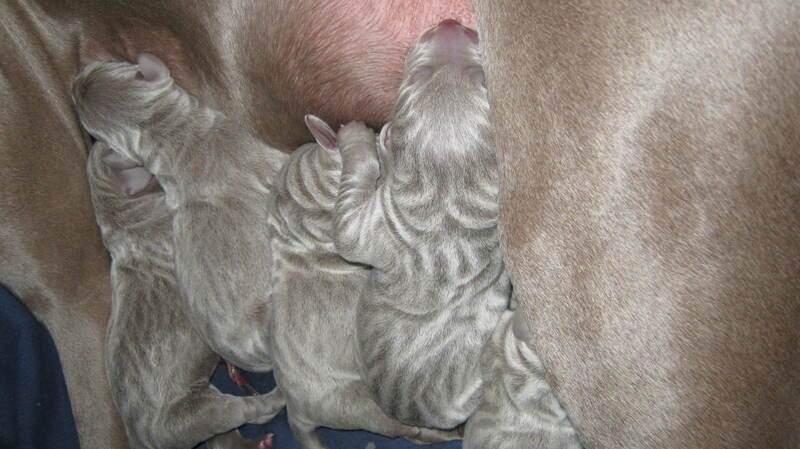 Grouse Ridge's Delight "Lila" had a healthy litter of 6 (4 males and 2 females) sired by Ch. Camelot's Stop 2 Smell Th' Roses "Gunnar" on 11-25-11. This breeding has produced 2 wonderful litters for us in the past and we are certain this litter will be no exception! 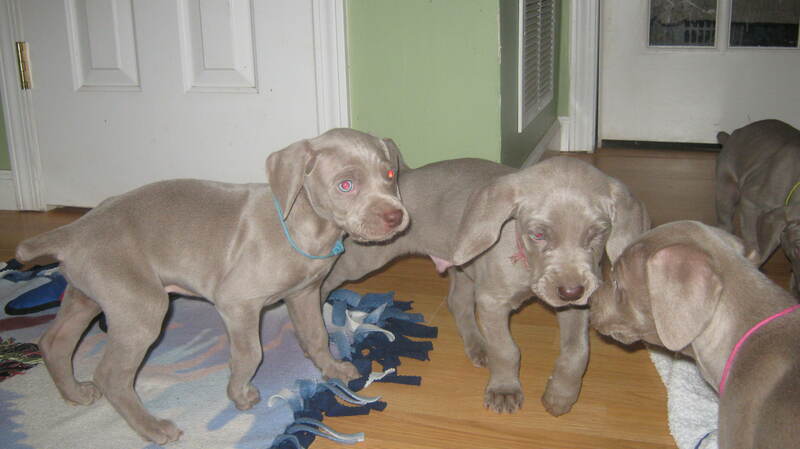 Lila and Gunnar are both strong, loving Weimaraners. 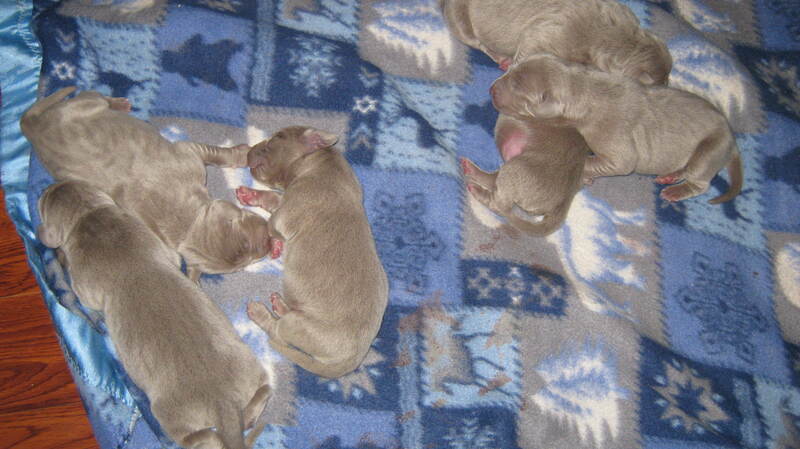 Their puppies have been top quality AKC Standard Conforming Weimaraners with superb temperaments that make them very trainable.